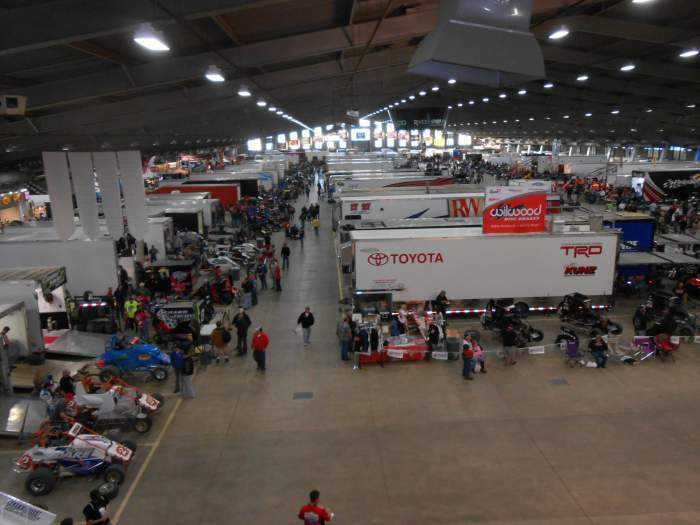 Location - The Chili Bowl is held on a temporary track located at the Tulsa Expo Centre in Tulsa, Oklahoma. To get there you will clearly need an aeroplane from New Zealand and the likely route is Auckland - LA - Houston - Tulsa. Once in Tulsa you will need a GPS to find the track. 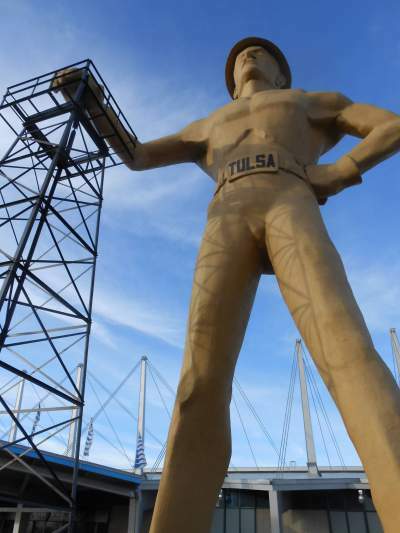 Tulsa takes the Southern State approach to city building, make it big and build lots of motorways. Good luck finding your way around! Parking - The stadium is surrounded by a massive carpark that expands all the way around the venue. You may need to park a fair distance away from the entrance depending on what time you turn up. 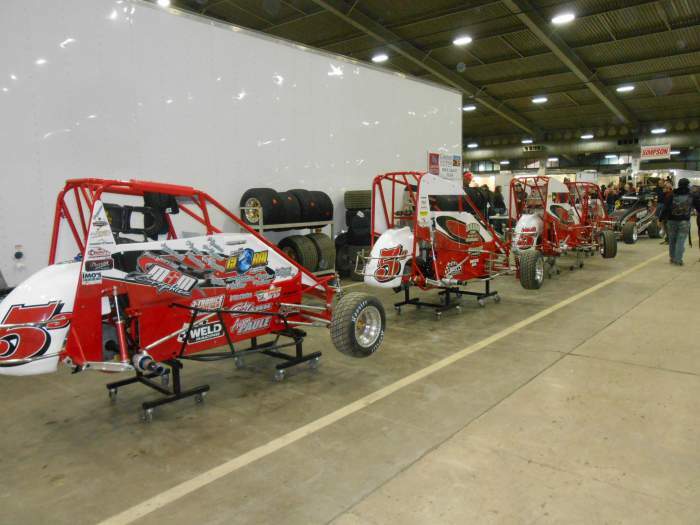 Premiere Meeting - Naturally the Chili Bowl is the Premiere Meeting. 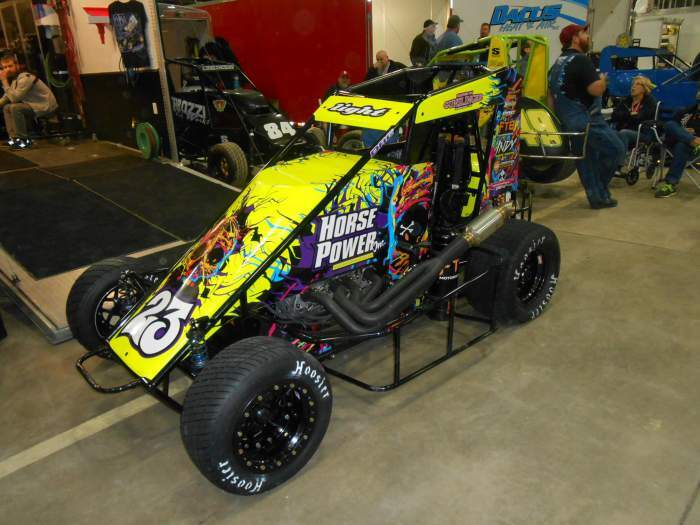 Being in the middle of winter nobody else is racing so everyone is there from NASCAR drivers, World of Outlaws Sprintcar drivers, International talent and of course all the top Midget drivers. 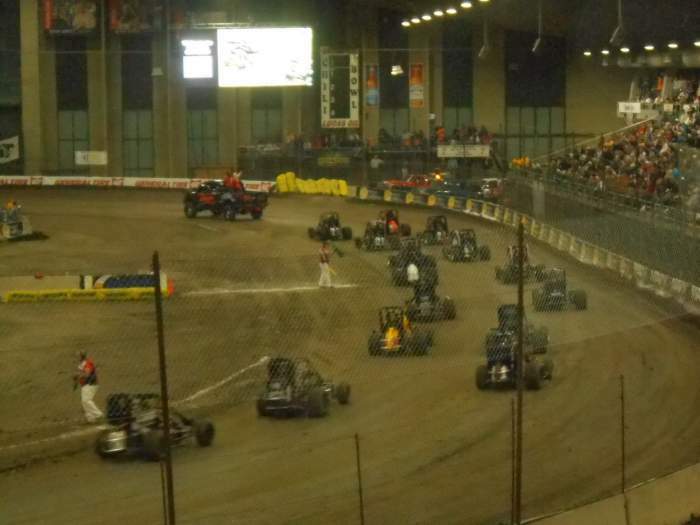 Also worth attending - Attend all 5 nights of the Chili Bowl. Best spot to sit - The main Grandstand sits behind turns 3 & 4, seperating the track from the pit area. The grandstand is around 34 rows high and I would hate to think how wide. 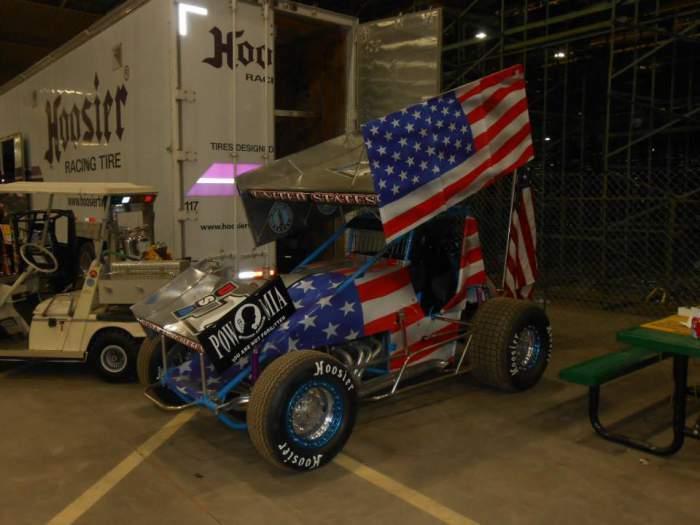 Avoid the seats lower down as the view during racing will be impeded by people coming in and out. The next best option looked to be the stand down the front straight. 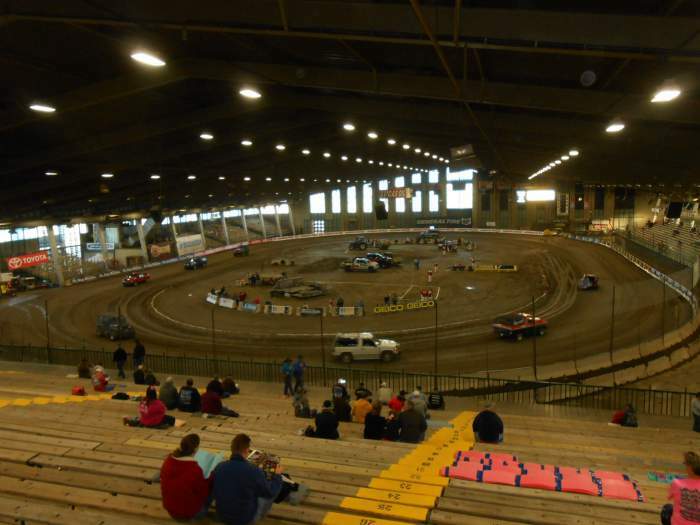 Uniqueness - It doesn't get much more unique than a temporary indoor speedway track that holds perhaps the worlds greatest Midget event. The track itself is remarkably small. It's listed as a 1/4 mile but having walked the track it would be more like 300 metres. The track is incredibly racey due to meticulous track preparation conducted by a highly organised and focussed team. The level of thought and organisation that goes into the show is mind-blowing.